22.10.2014: Rice Crisp Honey Nut gave birth to 5 females and 4 males. More information about the H-litter here. 27.9.2014: Tara has been proven to be pregnant! Puppies are expected to be born during weeks 43-44. 27.8.2014: Rice Crisp Honey Nut has been mated! More information about the H-litter here. WDS 2014 Helsinki, judge Payro Jose Luis from Mexico. 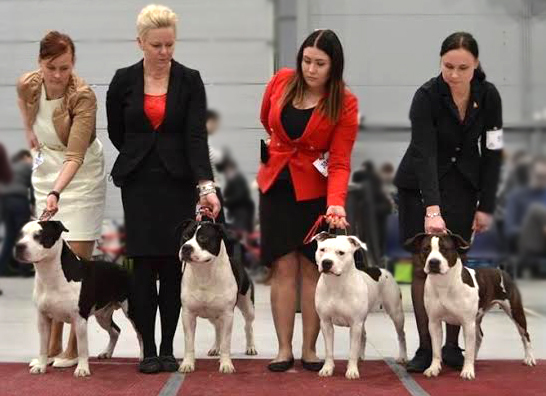 C.I.B & FI & EE & RU & LV & LT & BALT CH EEW-13 BH JK1 TK1 Unbreakable's Do The Beat (Ch.Sindelar's Trabuco Joe x Ch.Masterbolt Queen Of Spades) CH EXC2 RCACIB RES WORLD WINNER 2014 !!! 22.6.2014: Updated the health check results for litter G.
19.3.2014: Rice Crisp Honey Nut 'Tara' will be mated in July-August. 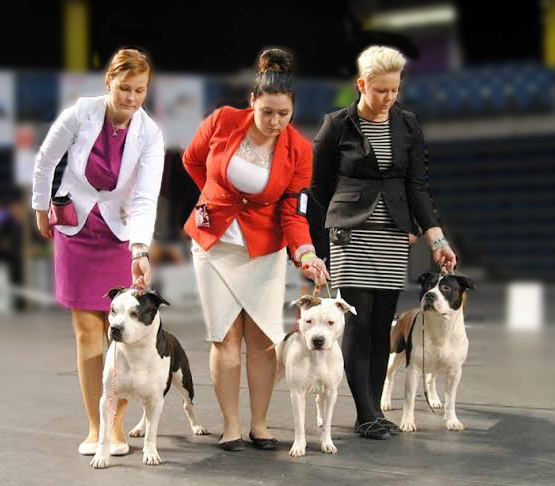 Planning a new litter, Unbreakable´s Rice Crisp Honey Nut x Royaltybolt Diamond Dust! More information on the H-litter -page. Earlier news available on the older news -page.